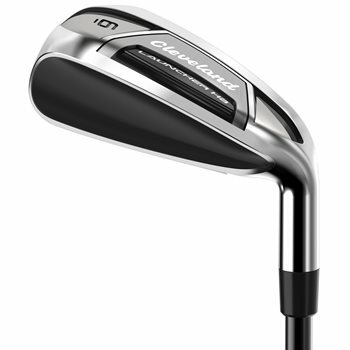 The Launcher HB irons bring the forgiveness and trajectory of hybrids, all the way through your irons. The irons feature a hollow construction and internal stabilizing ribs that provide drastically more forgiveness than typical cavity back irons. The HiBore Crown features low, deep weighting for an easy to hit, high ball flight while the high-strength steel face increases COR across the face for explosive distance. Progressive design features more hybrid-like long irons and more iron-like short irons, all with built-in forgiveness. Start hitting it higher, straighter, and farther today with the Launcher HB irons.